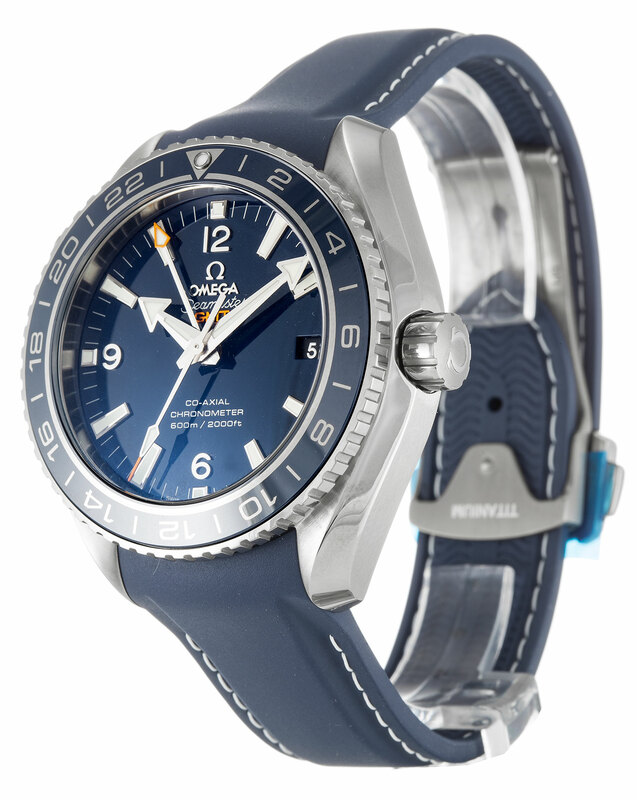 The watch we are going to talk about has a descriptive product name here, which is a Planet Ocean that is actually very huge and in deep blue. Besides, it is indeed rather expensive. 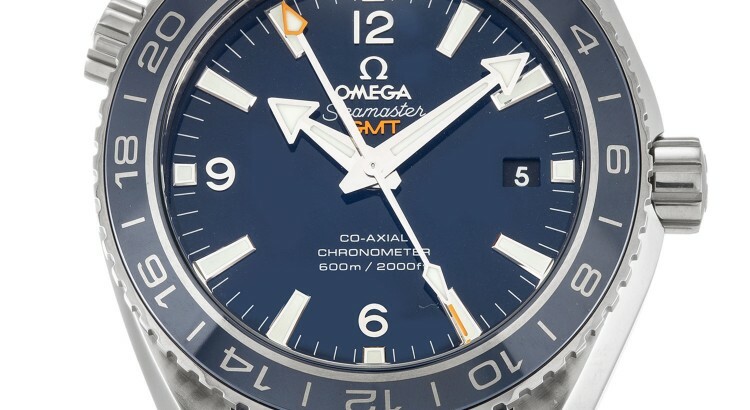 The key point to clarify about the Replica Omega Seamaster Planet Ocean Big Blue Ceramic GMT is a certain dissonance between the appearance showing in the picture and real one in your eyes – you are required to lift it off the watch tray to see for yourself what I’m going to talk. Because blue, especially such a saturated, deep blue, we scarcely see quality, durable materials take on, when seeing it in images alone I found myself prone to associating it with a plasticky look and “feel” – although you really can’t make that conclusion from images alone. It is normal to get the news that the technology was coming from Swatch Group sister-brand and ceramic expert Rado, whose HyperChrome ceramic from about five years ago did away with the steel core duo to its mold-injection ceramic-manufacturing technology. Not a broadly advertised connection, this one, but it would only make sense for Omega to harness the group’s technology and that, fortunately, is actually what happened. Both Rado’s HyperChrome and Omega’s ceramic manufacturing process starts with a mold into which “a special zirconium-based powder” is injected. That light blue, large piece you see wrapped in glass in the top left corner of the image above is how the case looks at that stage. It is quite reasonably in the case’s finalized shape, already incorporating all openings for the bracelet, side inserts, also for the crown and pushers (on applicable case designs). Therefore, it has shrunk seriously to the size you see in the lower left corner of the image above. You should know how deep blue it has become by the end of this process, indicating that the material itself is colored in its whole depth. It is here where we should keep in mind that colored ceramic is completely rare in watch-making. As a whole, what’s really super impressive is how Omega can finish ceramic which is about five times harder than steel, coming in at around 1,200 Hv on the Vickers scale against 316L. What you see above is the final case on the left before finishing touches and, on the right, the finished product ready to be assembled.